It’s been a long 48 hours for Raptors fans - with the NBA trade deadline looming, most of us have been at our computers compulsively hitting F5, watching basketball Twitter with Rainman-esque obsessiveness. 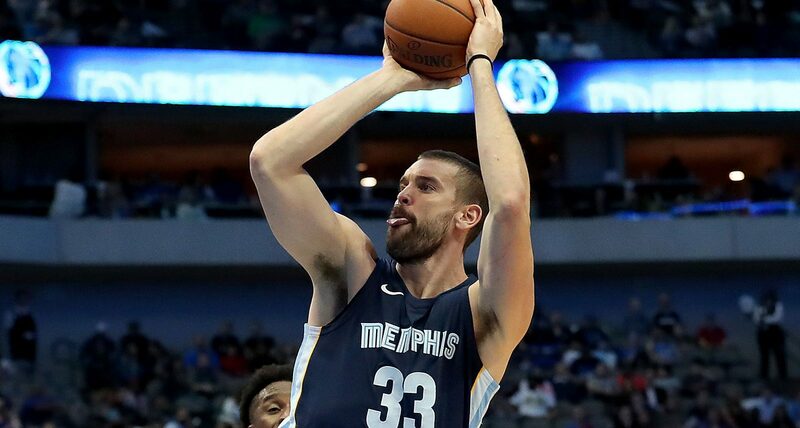 Turns out it wasn’t all in vain: the Raptors just obtained centre Marc Gasol from the Memphis Grizzles for Jonas Valanciunas, C.J. Miles, Delon Wright, and a future second-round draft pick, according to ESPN’s Adrian Wojnarowski. Wawaweewa, that’s a doozy of a trade. The Raptors give up their longest-tenured Raptor since 2011 and a fan favourite. In return they get a top-10 centre who’s 34, but having a hell of a season, averaging 15.7 points, 8.6 rebounds, and a career-high 4.7 assists - that ranks him second among the league’s centres, only behind Nikola Jokic. If there were any doubts that Raptors GM Masai Ujiri was serious about going all-in for a championship this year, consider them obliterated. On the bright side, at least the Raptors are shipping the GoDaddy curseaway to Memphis. (Seriously y’all, every player that’s done one of those commercials has had a ROUGH go.) That and we just snagged a monster centre who’s an agile defender and can shoot the three. If I Could Own Only One Type of Bicycle, What Should It Be?